This truck is owned by Thomas L.Yoder of Bradenton, FL. He is the original owner! I consider this truck to be one of the finest original CSS examples. 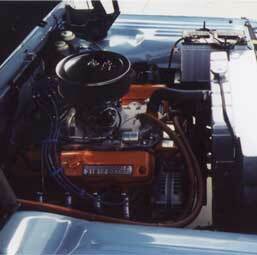 Wide block 318 with some modifications. 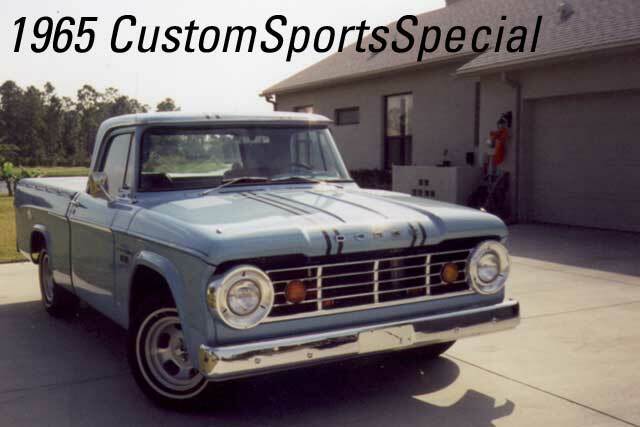 I am the original owner of this 65 Dodge D-100 Custom Sport Special. Delivered to Parkside Motors in Bordentown, NJ, on April 30 1965. 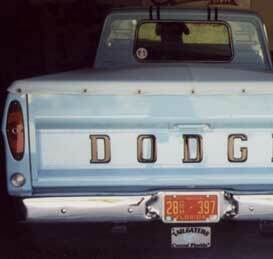 The truck currently has 62K miles and sports the original Arctic Blue paint. 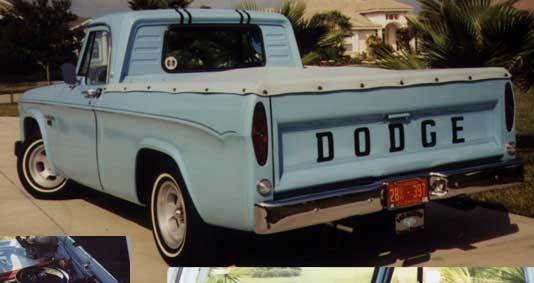 The only restoration the has been accomplished is rechroming the bumpers in 1999. The inside of the bedwas repainted and fully custom carpeted in 1993. The truck was bought only to be used as a toy. Unfortunatley, my dad had a load of sand and gravel in it in 1968, the only time it had a load in it. 15"x8" Shelby wheel with Seiberling W/W P225/75R15 tires, complete undercoat and detailed with POR 15 undercarriage, front running light, fender mounted turn signal indicators, dual 85 Dodge truck mirrors, bed tarp, back up lights, inside day/night rear view mirror, tack & oil pressure indicators and AM/FM stereo radio tape player with clock.